Sumptuous Marbella, nestled on Spain’s southern Mediterranean coast, has long been a draw for moneyed expats. However, the collapse in the Iberian nation’s real estate market has brought prices back into the real world. With signs that property is finally back on the upswing, now is looking like a great time to buy. Rob Carry: First up, what do you think it is about the Costa del Sol that has made it so consistently popular with generations of expats and visitors? Barbara Wood: It’s generally acknowledged that it’s got the best winter climate on mainland Europe. Also, this is the only part of Spain’s Mediterranean coast that’s facing south. Every other part of Spain’s Mediterranean coast is facing east. Most properties on the coast face the sea, but, if you’re facing eastward, you’re losing the sun quite early in the day. And, in the winter, east-facing parts of the coast have unfavorable winds coming in off the sea. Plus, most European capitals are within a two to three hour flight, so it’s incredibly accessible. 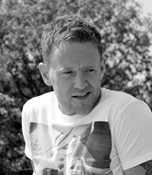 Rob: So, what has Marbella got over the rest of the Costa del Sol? Barbara: Marbella is head and shoulders above the rest. 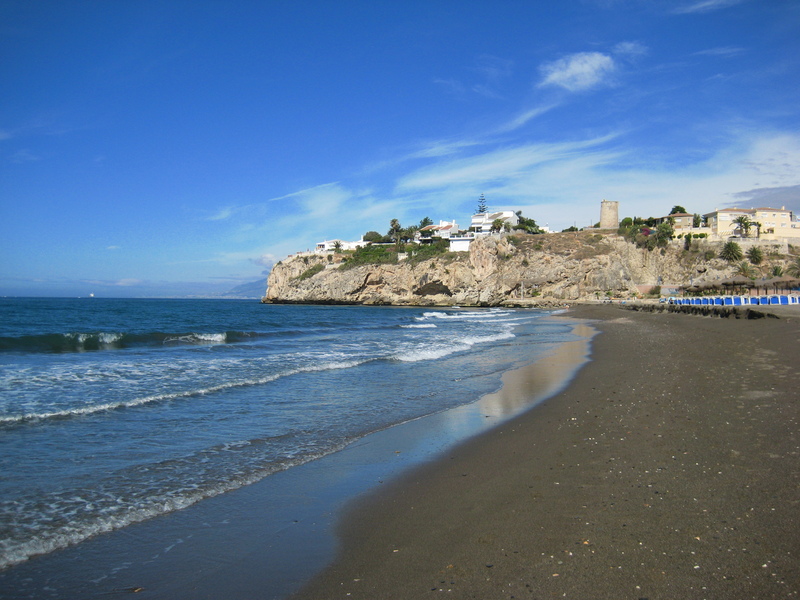 By Marbella I’m including the nearby Puerto Banús area and the little town of San Pedro. Of this, the area to the west of Marbella is considered the most prime. It’s very residential, and it’s where most of the overseas residents choose to have their home. It’s where the most expensive homes are. The best golf courses, the best of everything really. And it’s still not too far removed from the “real” Spain. If you go into the back streets of Marbella or San Pedro, I could show you restaurants where we will be the only non-Spanish people. Places where you can eat fantastically well for 10 euros. To the east of Marbella, it’s a little bit more of a tourist market. It’s where the best beaches are, but it’s geared less toward residents. There are also noticeably fewer golf courses. Barbara: This is the golfing capital of Europe—no question. It’s not even up for discussion. There are around 65 golf courses in the Costa del Sol within a 100-mile stretch. But this has advantages even for those with no interest in the sport. Most of Mediterranean Europe is very shut up in the winter. Resorts close down. The Costa is the only place in the whole of the Mediterranean that has a genuine 12-month season because, from the middle of October right through to the end of May and into June, the weather is perfect for golf. As soon as the summer visitors head off, the golfers start pouring off the planes. This gives potential for year-round rentals. Unlike the rest of the Med, where rental potential is indifferent outside summer time, you get really good rental potential throughout the year because you can target these golfers. Rob: Tell me a bit about who your average customer is. Barbara: European buyers make up 65% of the market here. Twenty years ago, it was predominantly a retirement market, but now that’s completely changed. A buyer could be anyone in their 30s, 40s, 50s, or upward. These people spend a lot of their year in Spain. They are buying now in part because prices have fallen dramatically. They might use their property as a holiday home while they’re still in their working years. They might have teens or children in their early 20s who can use the property during their summer holidays, or they might rent out. It’s a broad base of people. And buyers are made up of dozens of nationalities. The Brits are the largest, but they take about 15% of the market. You meet Hungarians, Ukrainians, Russians, and Chinese. There have always been a number of Americans living in southern Spain. It tends to be people who live there rather than holiday homeowners. They usually got to know Spain as a student, or maybe they served at the U.S. Air Force base here. The region’s international population is well catered to here. Costa del Sol has a dozen or more international schools teaching the Swedish, French, German, and U.K. curriculum. Rob: Tell me about Spain’s Golden Visa program. What is it, and how has it impacted those looking at property in the region? Barbara: Since Spain announced the Golden Visa—whereby you get residency when you spend more than 500,000 euros—the number of visitors to The Property Finders website from the United States has shot up. Under its terms, you can also buy government bonds to qualify, so it doesn’t have to be property. Also, you can buy more than one apartment. For example, you can buy one for yourself and one to rent. Do that, and you’ll get residency for Spain—and Spanish residency is good for all 26 countries in the Schengen Area. I used to get maybe 100 or so hits a month from the United States. Now I get 5,000 a month. It literally started the day the law came into effect in 2013. Barbara: That’s one of the things people like about it—it’s completely international. But you can still go inland, just a little bit from the coast, and find the “real” Spain. Compare that to the States, say somewhere in Florida, that’s a popular retirement destination. You don’t get that kind of internationality. Rob: Right now, how are rental returns on properties in Marbella and the rest of Costa del Sol? Barbara: In the really prime areas like Marbella, we’re now seeing gross returns of between 7% and 10%. And we’ve been seeing that for the past three seasons. Spain just became the third most visited country in the world. The overseas tourist numbers for 2013 broke the 60 million barrier for the first time ever. This year, it’s already at record breaking levels. By the time they tally 2014, they will have recorded around 63.5 million overseas visitors. And this is supposed to be a recession here. These numbers are before domestic tourism is even considered. Now, of this number, a third stay in private accommodation rather than in hotels. So you can see the potential for people who buy to let. Rob: Let’s talk about prices. How much has been wiped off the value of the average property since the beginning of the downturn? Barbara: Prices on average have fallen by 45%. They are now back to where they were in 2000. All the gains of the boom have unraveled. Clients arriving with 650,000 euros are getting houses that used to be on the market for 1.2 million euros. And that explains the very strong recovery of the overseas market in Spain—overseas buyers now represent about 20% of the overall market in Spain. If someone is spending 300,000 euros, I need to look them in the eye and say, at the top of the market, this would have made 450,000 euros and will recover to at least that level again in the medium term. The timing now is phenomenal, but the window of opportunity isn’t going to last longer than 12 months, because of the shortage of new properties coming through. The surplus of unused properties has been reduced by 40%, but there are still amazing opportunities out there. Rob: Has there been much variation in the level of price declines in different areas of the Costa del Sol? How has Marbella fared? Barbara: In the prime areas, 40% has been wiped off property. That’s in Marbella but also San Pedro, the heart of the golfing area. On the outer edges and in less desirable locations, it’s been 60%. But some of the property built during the boom is, frankly, unpleasant. You would wonder if some of it will ever find a buyer. Rob: So the timing right now is looking good? Barbara: There are parts of Spain that are still on the way down. In the domestic market—Spanish cities and suburbs—prices probably won’t bottom out for another two years. That makes it difficult for overseas buyers to read exactly where prices are at. If they look at broad averages, they will see property prices that are still falling. Overall, they may well be. But, when you compare the overseas and domestic markets, the two are behaving differently. The domestic market is still declining because lending is on the floor. But the overseas market, predominantly one of cash, is doing much better. In the prime areas, we’ve seen prices lift off the bottom. In the first quarter of this year, in the Marbella municipality, we saw increases of 4.8%. Rob: Could property price increases be offset in these areas by, say, construction firms ramping up supply and, in turn, reducing demand? Barbara: Right now there is no new building going on. For one, very little new product is getting planning permission. Plus, builders can’t get credit. That’s been the case for five or six years now. In the very best areas, we’re seeing a shortage of stock. Rob: What should an overseas buyer expect to pay in buying costs? Barbara: A buyer in Spain needs to allow for 10% for their buying costs. Notary fees, registry fees, and transfer tax. Transfer tax can vary depending on where you buy, but the lowest rate of transfer tax is 8%. Rob: The trials and tribulations of Spain’s banks have been well-publicized. Right now, what are the chances of overseas buyers securing financing? Barbara: Lenders now give about 60% of value to overseas buyers. But in my experience, they will only give mortgages to people if they don’t need them. The mortgage market is still in intensive care. Follow the link to learn more about Costa del Sol properties on The Property Finders website. Editor’s Note: Just this week, Rob has received a number of questions from readers who are interested in the Costa del Sol. He got back in touch with Barbara Wood and she gives her responses below. We have lived in Marbella since 2002. As we invest in property in different countries in Europe, we have considered a buy-to-let property in Marbella. However, our calculations on the yield were much lower. We cannot believe the 7%- to 10%-yield promises from your article. If it is possible, please contact us and we would be buyers! In general, short term lets, year-round, produce higher percentage yield than one long let. In general, detached villas produce a higher percentage than townhouses, which in turn produce higher percentage than apartments. Typically, apartments will produce gross returns at the lower end of the scale, while detached villas will be at the top end or even exceed it, with townhouses somewhere in between. It was noticeable during the downturn that luxury houses experienced virtually no dip at all in occupancy levels apart from small drops in the worst years from 2009 to 2011. The last three years have been record-breaking. Properties need year-round appeal. In a location with seasons, there has to be a reason for people to go outside during the main summer months—something like golf or other sporting facilities. Other year-round activities, like hiking, walking, climbing, horseback riding, biking, and access to snow skiing are a draw, as are nearby cultural attractions, like those offered by Seville or Granada. There are other factors to keep in mind when trying to maximize your year-round rental yield. If nighttime temperatures fall to below 60 degrees Fahrenheit in winter, then a property will need heating and preferably an open fire. Properties need modern kitchens and bathrooms or shower rooms. Furniture should be modern, minimalist, with Wi-Fi and flat-screen TV as standard. They need comfortable beds, plentiful quality linens, and towels. It helps, too, having access to good spa facilities. Things like a heated indoor pool, sauna, steam room, and gym (either on-site or nearby) increase winter letting potential. As does easy access to local shops, bars, restaurants, preferably within walking distance—people like to be able to drink without someone volunteering to abstain. Taxis can be expensive. Good local management is essential. Owners should ask themselves if they get repeat business, as the best properties always do. Here’s another tip: Owners will have a favorite eating place in the area, so try setting up a discount system for tenants, particularly in low- and mid-season months, when the establishment may be very pleased to agree. How about some examples of properties in this market. I’d like to see some real examples of good rental returns. One client paid 310,000 euros for a townhouse in a very special location in 2012, which at the peak, would have gone for 600,000 euros. As of today, the property has 190 nights already booked in 2015, and, based on 2014, I expect this house to be occupied for at least 300 nights during the year. The average cost per night is 120 euros, so that 300 nights equals 36,000 euros. As well as an 11.6% gross yield, this particular house is of a type rarely found, and I anticipate excellent capital growth in the medium term. Another client paid 195,000 euros for a shabby townhouse in August 2014 and then spent a further 75,000 euros in renovations. It has three beds, three baths, and frontline golf in a gated community in Nueva Andalucía. The development has a heated pool and a tennis court, and they have installed underfloor heating, giving it extra winter appeal. Being conservative, I estimate this will achieve 2,250 euros per week in high-season, 1,750 euros in mid-season (golfers), and 1,250 euros in low-season. You could assume 100% in summer high-season, and, even if you assume only 50% of the eight-month (October to May) golf season, this property would achieve well over 10% gross yield, including renovation costs. Capital growth potential is excellent—at the peak, this would have sold for 450,000 euros in its renovated condition. My clients paid 210,000 euros for a two-bed beachside apartment in July 2014, but this deal was the result of a combination of a very motivated seller and cash buyers. My clients were under-bidders, but the other party needed a mortgage, so the seller chose them for speed. It had previously been rented out long term, bringing in 18,000 euros per year. But, if rented short term, I would expect that to increase to between 22,000 euros and 25,000 euros—a gross yield between 10.4% and 11.9%. Given the low price they paid, you probably couldn’t repeat this deal in 2015. Similar apartments are now selling for 275,000 to 300,000 euros. Although, even at these raised prices, the gross yield could still be around 8%. Other clients paid 425,000 euros in September 2014 for a three- or four-bedroom townhouse, frontline to the beach, for which 2,500 euros per month in the high season is the norm (1,500 euros at other times). As well as being on the beach, it is also on a golf course, making it highly rentable throughout the year. At the top of the market these houses sold for 650,000 euros. A frontline golf apartment has just sold for 215,000 euros and achieved 18,000 euros annually for a long-term let over several years. I estimate it could get up to 25,000 euros for year-round short-term lets. The development is extremely high-quality and a similar apartment is available today for 235,000 euros, producing a gross yield of about 10%.